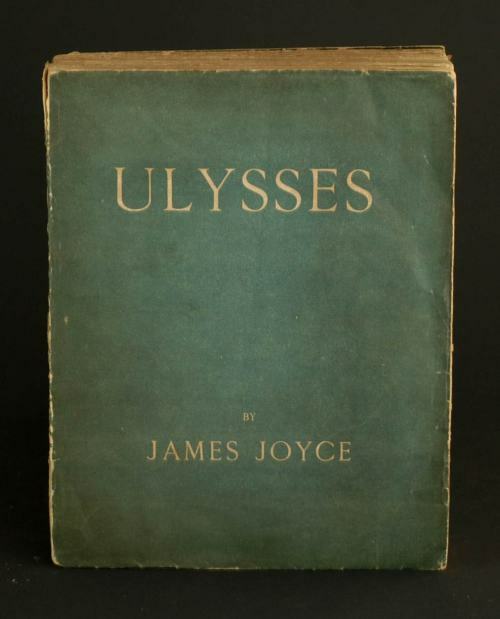 Apologies for the odd title (it’s from James Joyce’s Ulysses if you want to know), but it allows me to segue into my update this week in a rather elegant fashion.Last week I brought you up to date with the position with respect to sign off on my plot with the folks at Frontier. First up, the bad news. We’re still not there. The good news is that we’ve definitely moved closer. I got my second draft of the synopsis and plan back from Frontier yesterday with no less than 20 comments straight from the keyboard of David himself. Many of these were complementary of the plot with the odd “Yes” and “I like this” added in. Some required clarification and some were challenging aspects of the plot. The challenges are appropriate and I need to close them up with a bit of homework. That’s already in progress. Frankly I’m quite impressed by the level of attention that’s being paid to the synopsis, it’s far more attention than I expected to get and it’s very clear to me now that David is carefully scrutinising all the detail across all the Elite : Dangerous books. That bodes well for the quality of the final game too, though keeping that attention to detail and delivering on time will be a major challenge. The plot is being subtly revised primarily based on a document that David penned himself, which is a guide to how politics works in the Elite : Dangerous universe. This not only fleshes out the character, style and behaviour of each faction in the universe (the aforementioned Federation, Empire and Alliance) but also describes their structure, ranks, social order and so on. My plot had made assumptions about how these structures looked (particularly in the case of the Empire) and, since I was guessing, it’s currently slightly adrift. Each faction is very different indeed, and right now I can’t give away much about them other than that they exist. There should be an official opportunity to see some of that detail in the not too distant future however. My target to start writing remains the 4th of March, and there is still quite a lot to resolve in advance of that. I’m hopeful that I can still stick to my timeline. Frontier is very busy right now, and the writers are only a small part of that, so we are encountering some turnaround time delays. With the demise of the Wolf 630 system from my story’s perspective, my focus in the last week has been on figuring out the dynamics of a workable location. This is also a work in progress, but I’ve found out how to model customised starsystems within SpaceEngine, so have ‘created’ a solar system of my very own. For the technical amongst you, here’s the code that generates a frozen rocky world on the edge of the solar system for instance. And this is what that piece of code generates, clever, eh? In this fashion I can create an entire solar system for exploring and taking future imagery. Once I’ve got this locked with Frontier I’ll give a tour of the system. To whet your appetite, and loosely tie back to the title of this blog, the planets and moons in this system are named after Greek myth characters. My primary location will be a moon called ‘Chione’, orbiting another planet called ‘Daedalion’. The system itself is still to be confirmed. Other issues I’m dealing with are involved with aligning terminology across the story and game. Some of this exists, some has yet to be decided. Technology is another fuzzy area right now, particularly in respect to hyperspace – which will be a key point for many plots I would imagine. Loved the Gauntlet guys. Well done to all involved. Great story Drew. Re: Reclamation, I continue to be impressed by your commitment to detail on this project Drew. You should be very proud at what you have achieved so far. Sometimes (in fact, most times) there are ups and downs before a project begins proper. So far you have handled the various changes and compromises with humility and understanding. Well done. I suppose the main point I’m getting at is, you are essentially the model client. Flexible, full of knowledge and bursting with enthusiasm. This project has the whole office here buzzing and we can’t wait for the next phase to begin. Dan and all at Fantastic Books Publishing. Thanks for the encouragement Dan – and “Hi!” to all at FBP, very much appreciated! It would be good to give you a guest blog post at some point in the future – would you guys be up for that? Intrigued! 🙂 Keep us posted on progress, Chris.